The Andromeda Galaxy is our nearest large galactic neighbour, containing several hundred billion stars. Combined, these images show all stages of the stellar life cycle. The infrared image from Herschel shows areas of cool dust that trace reservoirs of gas in which forming stars are embedded. 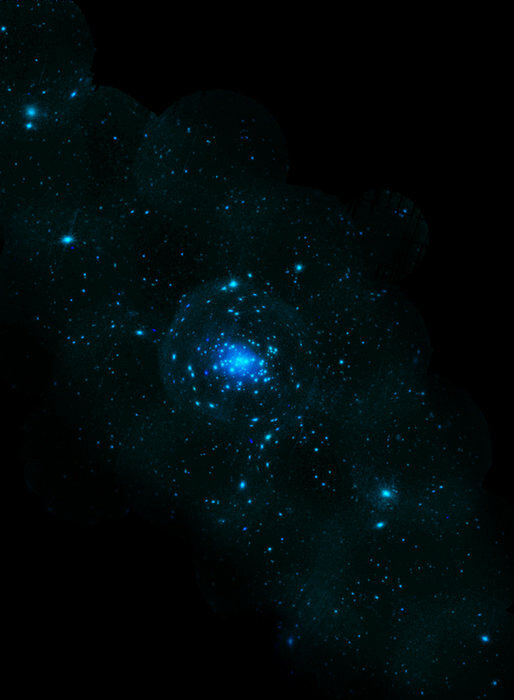 The optical image shows adult stars. XMM-Newton’s X-ray image shows the violent endpoints of stellar evolution, in which individual stars explode or pairs of stars pull each other to pieces. 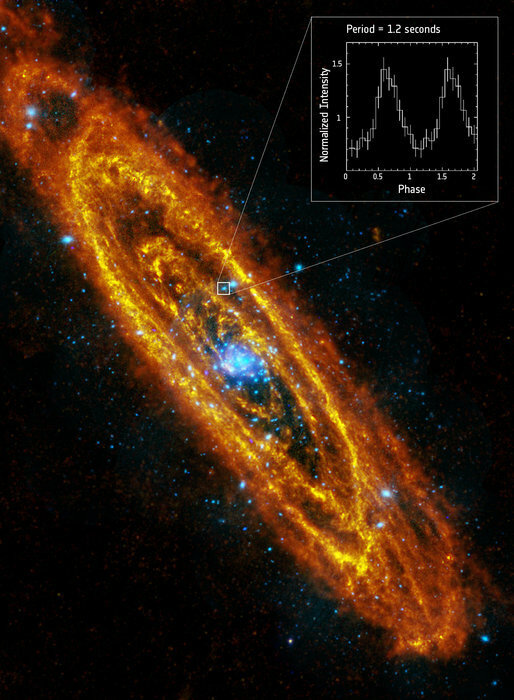 This image of the Andromeda Galaxy was taken by XMM-Newton during Christmas 2010. 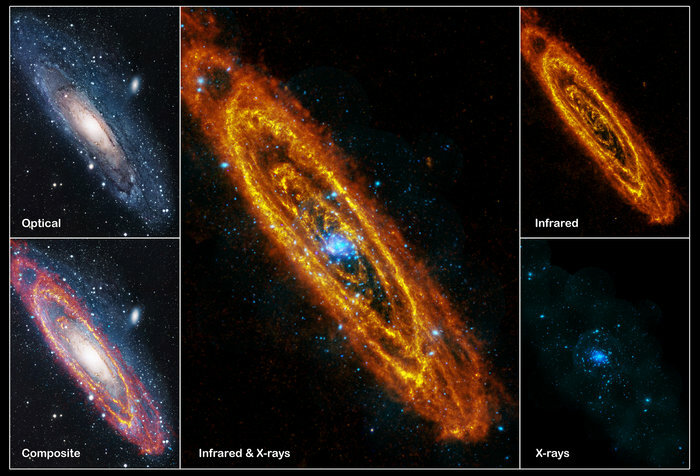 It shows hundreds of X-ray sources within Andromeda, many of them clustered around the centre, where the stars are densest. Each one is a dying star system. The sources can be shockwaves and debris rolling through space from exploded stars or pairs of stars locked in a gravitational fight to the death, in which one strips the other of precious gas.